Fixed a crash related to pull-to-refresh on iPhone. 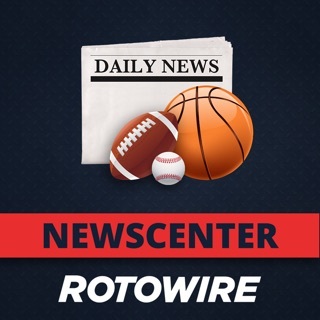 We're happy to bring you a *big* 2019 update for the FantasyPros Fantasy News app! + iPad support: big news on your big(ger) screen! + Updated player cards: a better way to see player-specific rankings, news, and advice. + Improved player following: manage the players you're following more efficiently. + Improved player search: find the players you want to follow more easily. + A ton of bug fixes: woohoo! I won in one league and the other I had the most points and best record...but finished fourth. FantasPros had me in position to win in both leagues, but the fantasy gods said no. Oh and using the “matchup” feature along w “best available” saved me a ton of time each week. I was afraid that all the guys in my fantasy leagues were going to use the draft app this year, but I only saw one other guy using it...and he was the guy who won in the league where I finished fourth. Thought i was going to receive half decent advice from “experts” but these writers have little to no knowledge on the NBA. I mean buy/sell players of the week? Selling Jamal Murray after 36 points in the 2nd half against the kings and 38 total points? are you kidding me? buying jeff teague fresh off injury? this has got to some kind of joke. Get me a job writing for this app i’ll give people at least something useful to go off of.